Send2Fax is an internet fax service provider that allows users to send and receive faxes from a computer via email. It is a web-based service where users can fax different file types without installing any software on their computer. In this article, we cover user reviews and pricing. Ready to try Send2Fax? Get a free trial. As of the date this article was written (12/05/18), there are no up-to-date user reviews of Send2Fax online. If you are a past or current Send2Fax customer, leave a review to help other business owners who are deciding whether or not to use Send2Fax. Send2Fax has two paid subscription options: Home Office ($11.99/month) and Small Business ($15.99/month). The only difference between the plans is the limit to the number of included inbound and outbound pages. All plans start with a 30-day free trial, and billing will start after the trial. 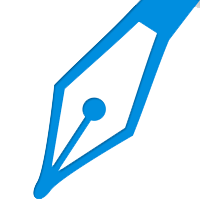 Usage exceeding the initial included number of pages will be charged at $0.12/page. 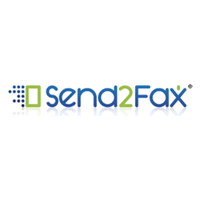 Ready to try out Send2Fax? Get a free trial. Best Online Fax Service — Free and Paid Options — An online fax service allows you to send and receive faxes from your computer or smartphone. In this guide, we compared 3 of the best online fax services: RingCentral Fax, Nextiva vFax, and HelloFax. We also uncovered the best free fax services for sending or receiving occasional faxes. What file types can a user send using Send2Fax? Send2Fax supports a variety of file types including Adobe Acrobat PDF, Group 3 TIF Image, Microsoft Word, Excel, and Powerpoint. They can also fax file formats like HTML, RTF, GIF, JPEG, PNG, and Access Snapshot (SNP). What types of support does Send2Fax offer? Send2Fax has a Knowledge Base page on their website where users can find the answers to basic questions on using their service. Also available on their website is a step-by-step instruction on how to send faxes. Users may also contact their support team if any other concerns arise. Not sure if Send2Fax is the right fit for you? Read our reviews of all top online fax software or check out one of these three Send2Fax competitors.